The Sport Clips Haircuts VFW 200 will mark Cole Custer’s 29th career NASCAR XFINITY Series start and his first ever start at Darlington (S.C.) Raceway. Darlington Raceway will mark Custer’s sixth track of the season where he will race for the first time. At the previous five – Auto Club Speedway in Fontana, California, Indianapolis Motor Speedway, Mid-Ohio Sports Car Course in Lexington, Road America in Elkhart Lake, Wisconsin and Texas Motor Speedway in Fort Worth – he has earned two top-five finishes and three top-10s. This weekend, Darlington will host the third annual NASCAR “Throwback Weekend.” In conjunction with teams, the track is showcasing iconic paint schemes, personalities and moments from the mid-to-late 1980s. Custer and Stewart-Haas Racing are recognizing two-time XFINITY Series champion Sam Ard and emulating his 1983 and 1984 championship-winning racecar via a throwback paint scheme on the No. 00 Haas Automation Ford Mustang. Custer’s best finish in the 23 XFINITY Series races run this season is fourth, earned June 3 at Dover (Del.) International Speedway. It was his 13th top-10 and fifth top-five and it equaled his career-best finish. Custer’s best qualifying effort in the 23 XFINITY Series races run this season is third, earned twice – April 22 at Bristol (Tenn.) Motor Speedway and June 10 at Pocono (Pa.) Raceway. Custer has 13 top-10 starts and three top-five starts this season. Custer has earned four top-five finishes, 11 top-10s and has led 29 laps so far in the 2017 XFINITY Series season. Custer is third in the XFINITY Series Rookie of the Year standings, 57 points behind leader William Byron and five points behind second-place Daniel Hemric. Custer has earned six Rookie of the Race awards this season. Rookie of the Race awards are given to the highest-finishing XFINITY Series rookie at each race. Custer is sixth in the XFINITY Series driver standings, 276 points behind series leader Elliott Sadler. How special is it to honor Sam Ard in the official throwback weekend of NASCAR at Darlington Raceway? What are your expectations coming to Darlington Raceway for the first time? What were your initial thoughts on Darlington when you tested, and what have you learned that you will bring back here in the Sport Clips VFW 200? 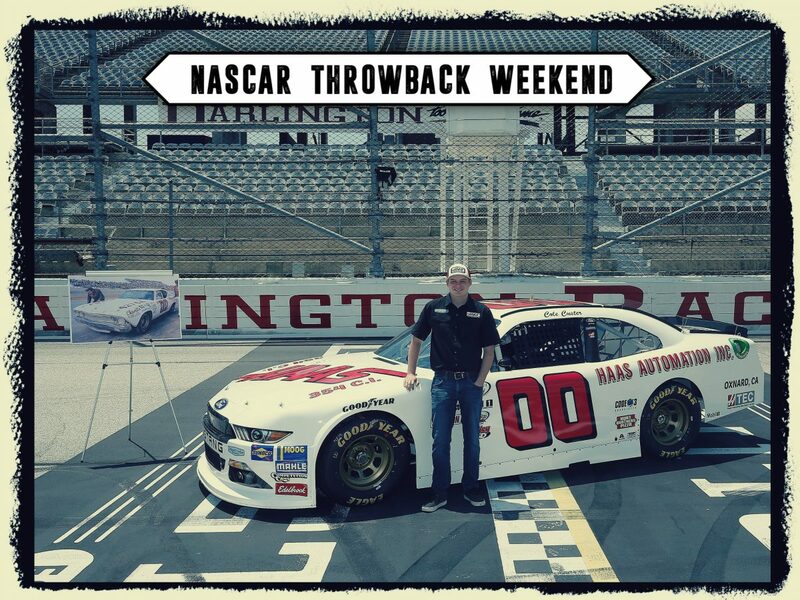 What are your thoughts on the throwback-themed race weekend at Darlington? What are your thoughts on the No. 00 throwback paint scheme and do you think you will have the same success as Sam did?